The Sultanate of Oman is an Arabic country located on the southeastern coast of the Arabian Peninsula bordering Yemen, the United Arab Emirates and of course Saudi Arabia. This small state is positioned strategically on the Arabian Gulf at the Strait of Hormuz. Oil revenues transformed the Sultanate as they did the entire region, and helped it to modernize, especially after 1970 when the current ruler, Sultan Qaboos, set aside his father and ushered in an era of peace and prosperity. 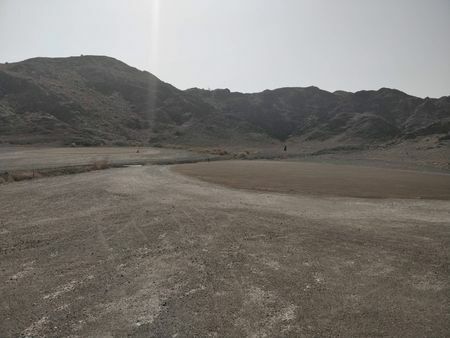 Oman is one of the hottest and driest countries in the world, though there is some variation from the more humid coast to the more arid interior. The best time of the year for outdoor activities is between September and May, when the weather is just about perfect for golf. The country's first course, or at least full-sized one, was created by Paul Thomas, son of Dave and a European Tour professional in his own right, and opened in 2009 just outside the capital. 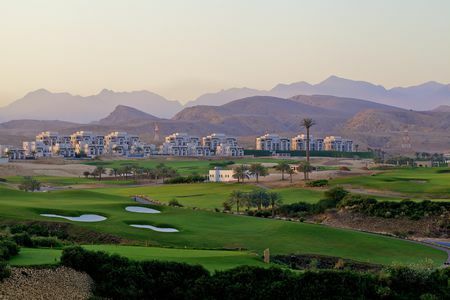 Muscat Hills Golf and Country Club plays through rough hillsides and wadis, gullies carved by the infrequent rain storms, with stunning vistas of the Al Hajar Mountains and Muscat Sea. 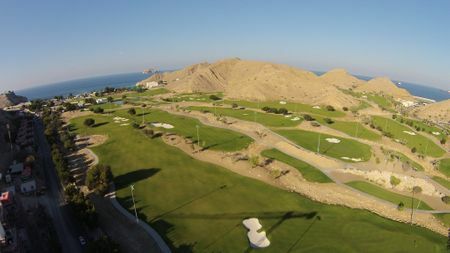 There are now four other grass courses in Oman, three of them also in and around Muscat. 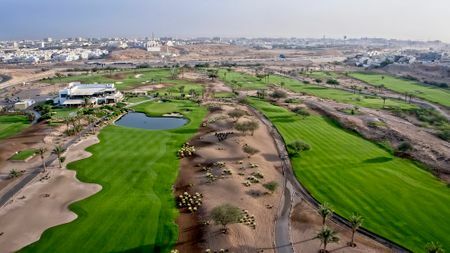 Probably the best of the lot is the design by renowned player/architect Greg Norman at Almouj Golf. When the Challenge Tour makes its annual stop in the Muscat area for the NBO Golf Classic Grand Final, Almouj is the venue. The season long ranking on the Challenge Tour is actually called the “Road to Oman” since here is where it winds up in November.